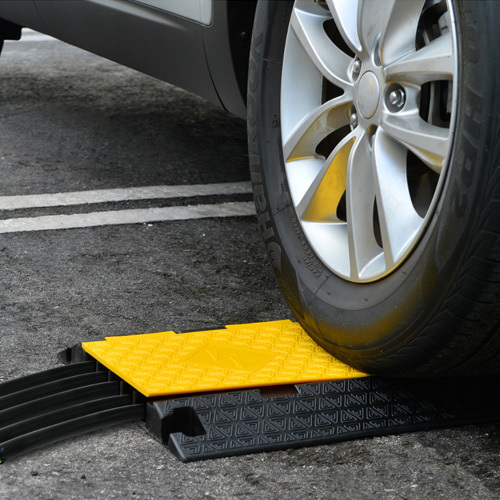 Here at Unimat we have 4 different models of floor cable protection caps that will suit your needs, whether you need to pass only 2 cables and wait only for cars and small vehicles, or require more or greater thickness of wagon in a place where the passage of heavy trucks is expected, all these options are contemplated within our variety of protective caps of cable. We are manufacturers and distributors of road solutions of great utility and with a high profile within the industry thanks to our historical results, we have had the opportunity to position ourselves as the leaders of the industry designing, manufacturing and distributing a large number of security products that make the roads a safer place; however not everything is focused on taking care of the road, we also have to take care of other elements like the infrastructure of a place, and that is why we manufacture the protective caps of cable, so that the wiring is also safe where necessary. Our high load, high capacity cord protector designed to manage and protect cables in tough situations. 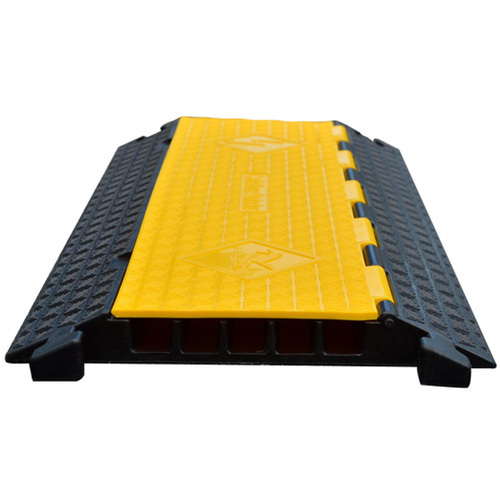 Perfect for continuous heavy outdoor cable protection in parking lots, jobsites, construction areas, industrial sites and more, the Yellow Jacket offers up to 5 cable channels, and end caps, turns and 4-way crosses allow you to create your own set-up that can span in any direction and length you desire. Cable covers protects hoses, cables and wires from pedestrian and vehicle traffic. With our high quality polyurethane material, these products offer superior characteristics and keep your wires organized and protected.